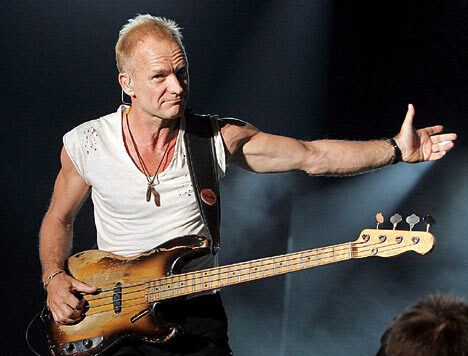 Sting is not a virtuoso on bass, neither is he a slouch. He is clever musician who melds his high-register vocals and economic bass playing seamlessly. The sparse trio format of The Police placed even more emphasis on Sting’s vocals and musicianship. To complicate matters, The Police specialized in white-reggae grooves that tended to place the rhythmic emphasis on beats other than the all-important “One”. Police drummer, Stewart Copeland was a busy and unorthodox drummer. On paper, The Police shouldn’t have worked. But, they clicked in spectacular fashion and conquered the world. “Spirits In The Material World” is Sting’s finest moment as a Policeman.